in what was a hotly contested pitch. Carlton & United Breweries spent $12.3 million on media in the past year, according to Nielsen figures. Carlton & United Breweries told AdNews it is not looking to change media agency and played down talk of a review, as did MediaCom. There is also a theory that a major merger could in fact slow down any potential review process until the dust settles. While local pitch details are somewhat opaque, it is clear that CUB will soon be part of a combined SABMiller-AB InBev mega-brewery that will produce one in every three beers in the world. AB InBev, the maker of Budweiser, Corona and Stella Artois, has already raised the capital to buy out SABMiller for AU$142 billion. Last week, AB InBev and the South African government struck a deal to ensure operations in SAB's parent country are not adversely affected, overcoming an important stumbling block to the deal. To appease authorities in Europe, AB InBev has agreed to sell off Peroni, Grolsch and London's Meantime brands to Japanese brewer Asahi if the deal goes through. A decision on the impact in Australia by the ACCC, due to be handed down on 21 April, has been delayed. The beer giant would be served by several agencies across different regions, and MediaCom is well represented. For AB InBev, MediaCom looks after media planning and buying in the US, with annual spend of about AU$740 million, while Dentsu Aegis, led by Vizeum, looks after its media in Europe. SABMiller's US presence, in the form of joint venture Miller Coors, is looked after by Initiative, but any deal with AB InBev will require SAB to offload its stake to prevent a monopoly in the American market. Earlier this year, MEC won the pan-European media duties for SABMiller, an account worth AU$91 million, while India is managed by MediaCom. AB InBev is notorious for running a tight ship, which would suggest it is likely to conduct a global review of supplier agreements. The question remains when. In the meantime, agencies will be watching how the takeover pans out. 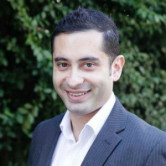 It's a busy time for media agencies with several large pitches moving towards final phases. Earlier this week, AdNews reported that Coles is down to three agencies and agency bosses are flying around the world for the Tourism Australia pitch. Cruise line company Carnival Australia is also reviewing its media as part of a global review. Industry sources believe the maker of VB could soon review suppliers. 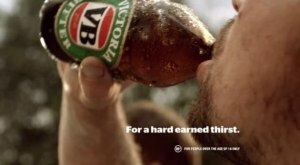 Media agencies have been advised "to get ready" for a Carlton & United Breweries (CUB) media review with several industry sources suggesting the maker of VB, Carlton Draught and Fosters could pitch soon, AdNews understands. Once the ink dries on a takeover of CUB parent company SABMiller by the world's largest brewer Anheuser-Busch InBev, a number of sources have suggested a review is likely. Another driving factor is that CUB, a long-standing MediaCom client, went to pitch three years ago, which means it could soon be due. MediaCom has been the media agency of the CUB account for decades. In 2013, MediaCom beat a challenge from PHD and Carat to retain the business in what was a hotly contested pitch.